Simply put, a rangefinder is the easiest way to access accurate distances on the golf course. You have the measuring power in the palm of your hand – all you have to do is aim the device, press the button, and take note of the yardage. Once you are comfortable with using your rangefinder, you should be able to obtain a distance to the pin or another object in just a matter of seconds. These devices can help pace of play by eliminating the need to look around for markers in the fairway, and they can help you play better golf by providing you with reliable, accurate numbers. Golf is meant to be fun, and for most people, owning a rangefinder will make the game more fun. Do you enjoy the process of walking all around the fairway to find a sprinkler head you can use as a distance reference? No – probably not. With a rangefinder, you can pick out your yardage in just moments, and you can get back to the task of actually playing golf. Some players have been resistant to pick up a rangefinder simply because it is relatively new to the game, but change is no reason to stay away. Every advancement is a bit odd at first, until it becomes universally accepted and used. 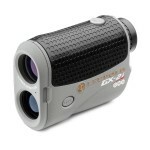 Golf rangefinders make the game better, and you should strongly consider adding one to your collection of golf equipment. 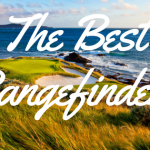 Why Shouldn’t You Use a Rangefinder? So, if all the points in the section above are true, are there any good arguments against using a rangefinder? It is tough to find much bad to say about these devices, but we will give it a try, just for argument’s sake. First, we can talk about the cost. Golf is already an expensive game, so you may not feel like spending hundreds of more dollars on a piece of equipment you technically don’t need in order to play golf. You could use that money on a new driver, or even on greens fees for several rounds. Any place you can save money in your golf game should be seen as a positive, so skipping a rangefinder for the time being might do your bank account some good. Another argument in favor of passing on a rangefinder is the appeal of keeping technology safely away from your golf game. One of the things many people like about playing golf is the opportunity to get outside and spend some time with nature while not worrying about text messages, emails, and the like. Of course, you won’t get those messages on your rangefinder, but it is still a technological device – and you might feel like a break from anything with a battery. To keep your experience on the golf course as ‘pure’ as possible, you could decide to obtain your yardages the old fashioned way. One last point which can be used to argue against rangefinders is some of the limitations they have compared to GPS units. If you do want a measuring device in your bag, some golfers will be happier with what is provided by a modern GPS device. Such devices will provide distances to the front, middle, and back of the green, which is something a rangefinder can’t do. Also, many GPS units have maps with distances to a variety of hazards and other notable spots, which is again a function not offered by a rangefinder. 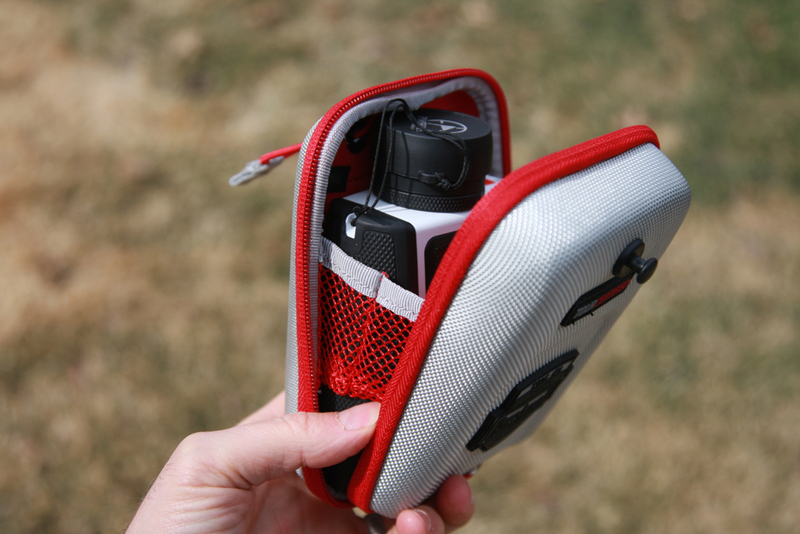 In the end, we think laser rangefinders are tremendous pieces of equipment. However, they aren’t perfect, and one or two of the reasons above may give you pause before making a purchase.